"I Would Have Done Things Differently!" 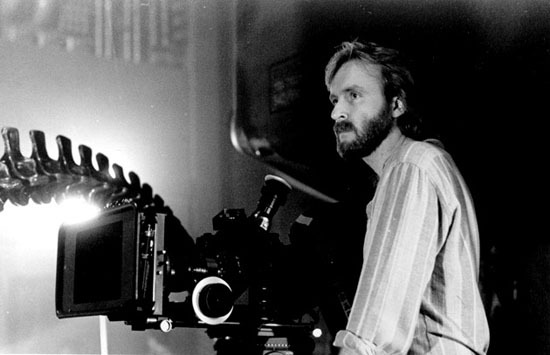 James Cameron Talks Ridley Scott's 'PROMETHEUS'! James Cameron, director of 1986's Aliens, the follow-up to Ridley Scott's 1979 masterpiece Alien has revealed his thoughts on Scott's Alien 'prequel' Prometheus. Cameron had been tasked with the near impossible feat of following up Scott's original titular psychological nightmare, the young Canadian director managed to not only do so but pushed the franchise in a new direction, successfully expanding the universe & creating one of the best sequels Hollywood has ever seen. While Cameron praised Scott's return to Sci-fi he did mention he "would have done a few things differently". Hit the jump to check out the details. As someone who was connected to the "Alien" legacy, what did you think about "Prometheus"? James Cameron: "I enjoyed "Prometheus"; I thought it was great. I thought it was Ridley returning to science fiction with gusto, with great tactical performance, beautiful photography, great native 3D. There might have been a few things that I would have done differently, but that’s not the point, you could say that about any movie." Did it make you feel like you wanted to revisit the world of "Alien" at all? James Cameron: "No. No, I feel that I’m too far away from it right now, too much other work has been done -- too thickly layered, a palimpsest of other talents from Fincher to everybody that’s come along since." Do you enjoy watching other people’s movies? James Cameron: "Oh, yeah. I’m a huge movie fan. I love watching films. I love watching films with the family, with the kids; I love watching films myself. I was out there opening night [for] "Prometheus." I didn’t go to the Thursday midnight screening, but I was there Friday. I like to still get excited about movies and whether they pay off or not, that’s not the point -- the fact that there’s still an excitement around a new movie, about the an unveiling of a new movie." So you’re able to enjoy movies as a viewer? James Cameron: "Prometheus is a film I saw twice, and I thought about it ahead of time. The first time I would just enjoy it, go for the ride, not be too analytical and the second time I would allow myself to be a little more analytical about, you know, where the lights were and how they lit the shots with all the people in the helmets, how they probably had to do CG faceplates like we did on "Avatar," things like that. But, sometimes, so that I preserve a fun, fan-like viewing experience, I won’t get into that level. I’ll just go for the ride, like, consciously." I'm reading: "I Would Have Done Things Differently!" James Cameron Talks Ridley Scott's 'PROMETHEUS'!Tweet this!